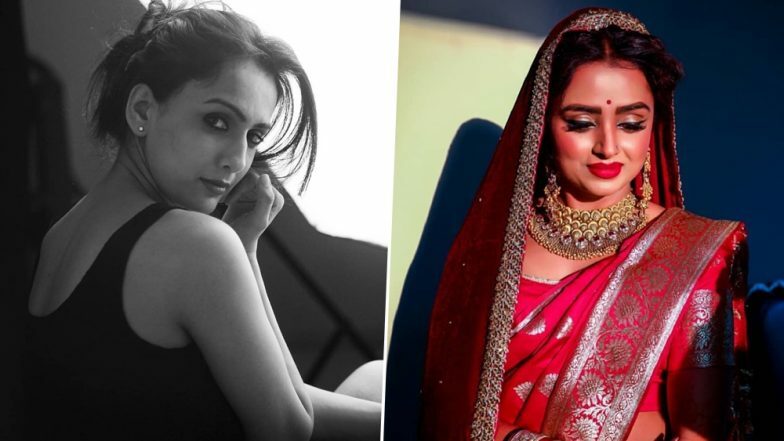 After entertaining us with her acting chops in Yeh Rishta Kya Kehlata Hai for almost three years, Parul Chauhan, who became a household name after Bidaai, bid goodbye to the show. The actress, who was seen essaying the role of Kartik's (Mohsin Khan) mother and Naira's (Shivangi Joshi) mother-in-law Swarna, decided to quit as she was not ready to play a grandmother on the show. Confirming the same, the actress told Times of India, "Yes, I have quit the show as I was not ready to play the role of a grandmother's role at such an early stage of my career. I felt I won't be able to do justice to the role. I spoke to Rajan sir (Producer) and thankfully he understood my concerns." Parul Chauhan Aka Swarna Quits Yeh Rishta Kya Kehlata Hai, Here’s Why! Parul's exit came as surprise to not just fans, but even team members and producer Rajan Shahi, who gave her a break in the hit show Bidaai. However, the makers did not take much time around this but have already found a replacement for Parul's character Swarna and it is none other than Niyati Joshi of Haar Dill Kuchh Kehtaa Hai fame. Yes, you read that right! Niyati Joshi, who has been a part of several popular shows namely Saat Phere and Kumkum: Ek Pyaara Sa Bandhan, among others, has replaced Parul Chauhan and will be stepping into the shoes of Swarna. The actress will start shooting for the show soon. Excited much? Even Niyati is excited as this will be like a very big move for her. Talking about it to an entertainment portal, she said, "Yes, I will be playing the role of Swarna on Yeh Rishta... I am very happy to be part of this show. Yeh Rishta Kya Kehlata Hai has been on-air since last 10 years and to be a part of the show is like a very big move for me. I know what I am getting into because I am replacing someone and it is not going to be an easy task. But, I am hopeful that the audience will accept me." Speaking of comparisons to be drawn with Parul, Niyati added, "The pressure is going to be there, but I am ready to face the challenge. The advantage that I feel I will have is that Swarna's character has been missing for last 2/3 months so I think it would be easy to make my way into the viewers' hearts." Niyati also revealed that she has no inhibitions in playing a grandmother on the screen.